Many newspapers aren’t comfortable with ICIJ’s “radical sharing” concept. By Alicia Shepard May 10, 2016, 2:34 p.m. The Washington Post and The New York Times, initially not invited to participate in the worldwide Panama Papers investigation, have now signed collaboration agreements with the International Consortium of Investigative Journalists leading the project. The Panama Papers, first published April 3, is the largest release of data ever about the secret world of offshore companies. To date, the investigation has brought down the Iceland Prime Minister and spurred dozens of investigations and hundreds of stories about world politicians, celebrities, businesses, and sports figures who shelter money offshore. When the investigation began over a year ago, the only U.S. partners out of the more than 100 world news organizations involved were McClatchy newspapers and Univision/Fusion. Under the agreement, the Post and Times are expected to collaborate and share what they find with other partners as they comb through the research. The Times and the Post now have access to the 11.5 million records covering four decades from a Panama law firm, Mossack Fonseca, that specializes in setting up offshore companies. A “John Doe” anonymously leaked the records to the German newspaper Suddeutsche Zeitung in early 2015. While still unidentified, the source published a manifesto explaining why he did it last Friday. On Monday, ICIJ published a searchable database, open to the public, of more than 200,000 offshore entities. Once the German paper Suddeutsche Zeitung realized it could not handle the 2.6 terabytes of raw leaked data, it reached out to ICIJ, which had handled three smaller, though similar, collaborative leak investigations. The consortium then created software to share the data through a Facebook-like virtual newsroom, known as the I-Hub, that requires a two-step process to access the data. In 2013, the Post worked with ICIJ on an investigation into the secrecy of offshore tax havens. It’s not a new topic for Leen, who began looking into how the drug dealers used the offshore world back in the 1980s. Leen noted there’s still a lot of reporting to be done with the recent leak because Mossack Fonseca’s records detail the setting-up of offshore entities, but not the bank records that tell precisely what’s in the bank accounts. The Times began talking with ICIJ and just started exploring the data with a half-dozen journalists in Washington and New York, said Matt Purdy, the Times’ deputy executive editor. Why weren’t the Times or the Post included originally? Walker said that, in general, many newspapers are not comfortable with ICIJ’s “radical sharing” concept, in which all journalists who agree to collaborate must promise to share their reporting, protect confidentiality, not share the data, and publish when ICIJ gives the go-ahead. Unwittingly, the McClatchy newspaper group had reached out to ICIJ at just the right time. ICIJ then invited McClatchy to work together, and didn’t bother asking the Times or the Post. 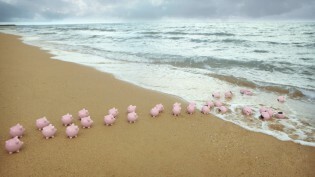 “In the U.S., we had a partner ready to go and willing to follow the rules,” said Walker. “We could have tried to convince the bigger partner [The Times] to come onboard. Honestly, we didn’t have time. We didn’t even try this time with the Times or the Post.” Instead, the Times and Post came to ICIJ. Alicia Shepard is a media writer and former NPR Ombudsman. She recently returned from two years working in Afghanistan with Afghan journalists and the U.S. government. POSTED May 10, 2016, 2:34 p.m.
Shepard, Alicia. "A few weeks after the Panama Papers’ release, The New York Times and Washington Post start digging in." Nieman Journalism Lab. Nieman Foundation for Journalism at Harvard, 10 May. 2016. Web. 20 Apr. 2019. Shepard, Alicia. "A few weeks after the Panama Papers’ release, The New York Times and Washington Post start digging in." Nieman Journalism Lab. Last modified May 10, 2016. 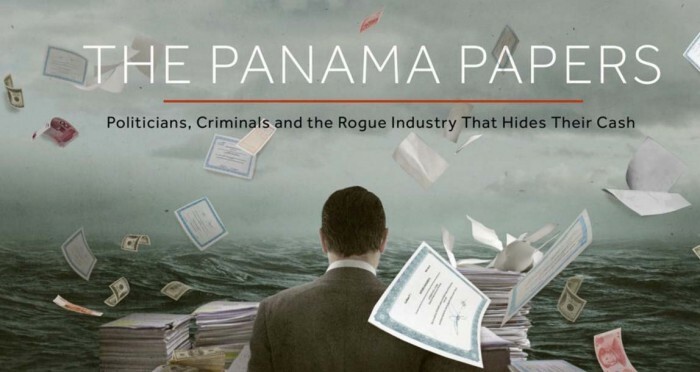 Accessed April 20, 2019. https://www.niemanlab.org/2016/05/a-few-weeks-after-the-panama-papers-release-the-new-york-times-and-washington-post-start-digging-in/.